I have standard Main Gear Legs on this 1999 Kitfox Classic IV with8" douglas wheels and matco single piston brakes and King Fox tires.. I am pretty sure the axles are 3/4" diameter. Just looking for ideas of how to proceed..... Is this the Grove gear I want or should I order something else???? That is the standard Grove gear and it works great. I had that on my previous Kitfox IV-1050. I used the Grove 6 x 6" wheels and double puck brakes because I HATED the Matco brakes on the bungee gear. 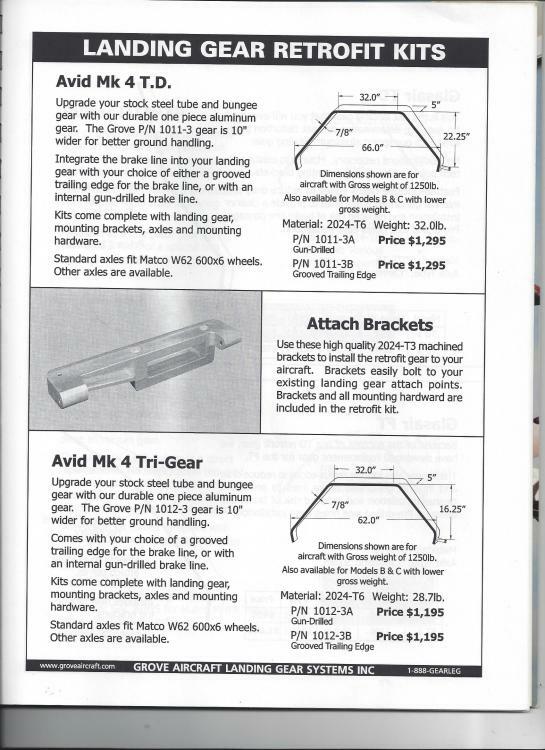 I didn't like the look of the wide Nanco/Nanking/King Fox ATV tires and wanted to go to a more durable aircraft tire. I settled on 21 x 800-6 Aero Classic tires from Desser. They were affordable, durable and plenty big for my needs. To do this conversion, I already had the parts from my project plane so I cannibalized them as a learning experience to see if I would do the same on the new plane I was building. It worked out very well. I chose to do the slightly longer spring on the Mangy for more ground clearance and a better 3-point angle of attack after talking with Robbie Grove. 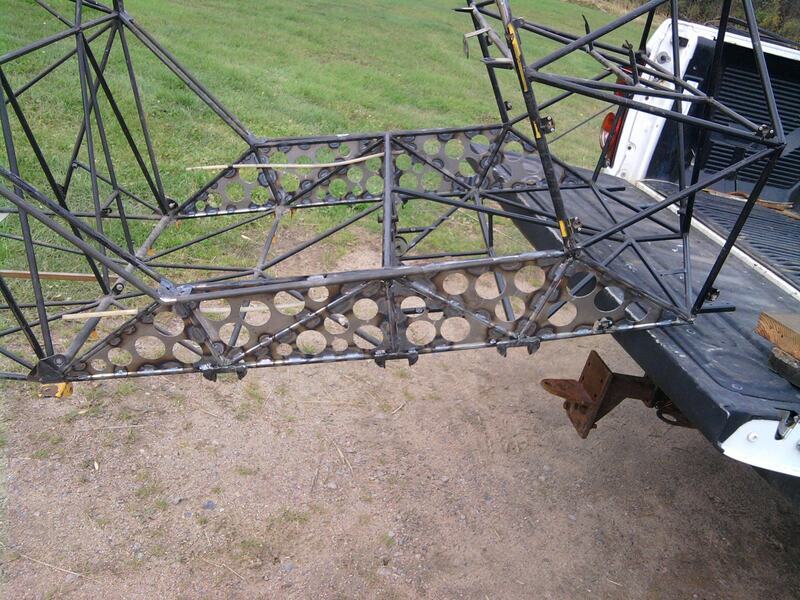 Since I was building the plane at the time I reinforced the side longeron truss to strengthen this area in anticipation of the longer gear legs and possible future Bushwheel tires. The investment to do the complete Grove system is substantial. Wheels, brakes, gear and tires will set you back $3500 or more. From my experience, this was money well spent in the performance gains I experienced. Some may not agree with this, but I have been very happy and do not regret spending the money. The larger gear for the 5-7ss won't work on a 4. Neither will an Avid Spring. They are 5" wide, where the Kitfox IV is 4". 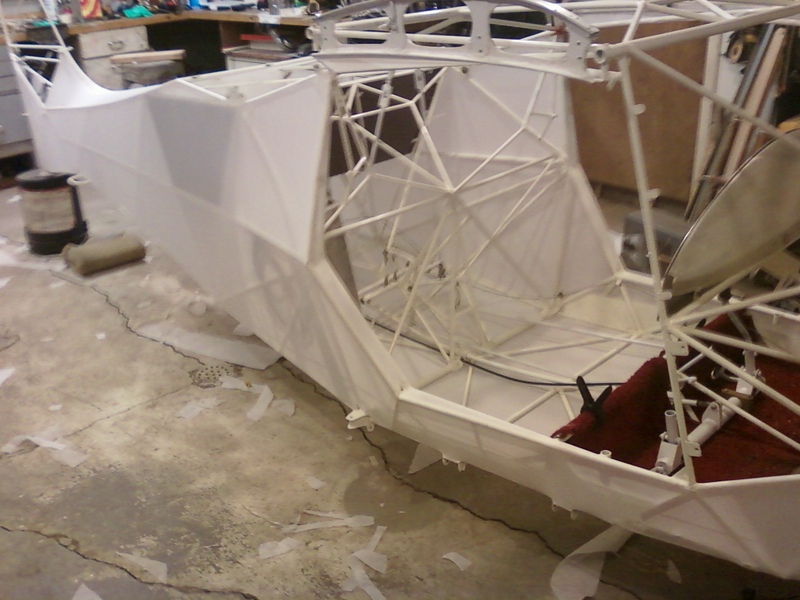 What I had them do for me is the largest possible, still fitting the properly engineered mounts for that airframe. Been there, done that. As I said, when I spoke directly to Robbie, I asked him how large he can make the spring, width and height, to fit a Kitfox Model IV. This is what I now have. Avid fuselage attachments are not the same as the Kitfox IV. 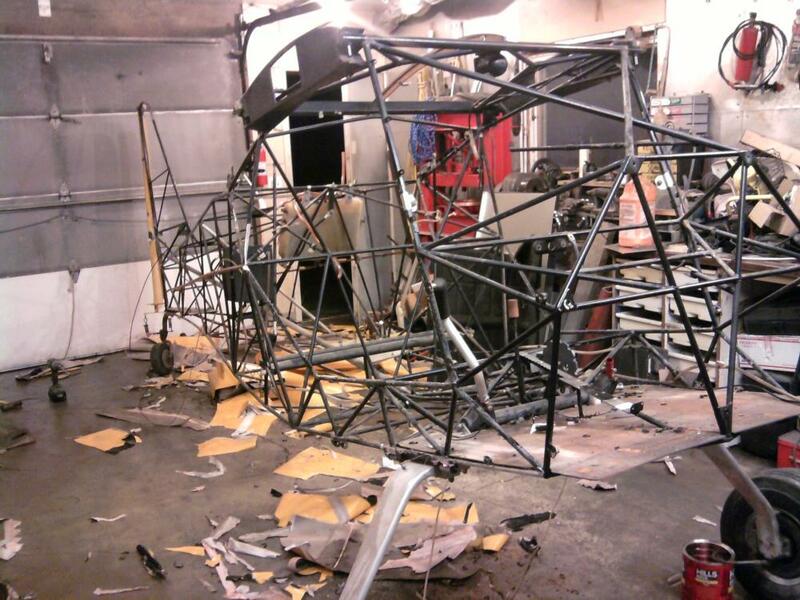 HighWing LLC is still building bush gear here and there. Less than half that cost and everything from the axles out is bolt on. I've posted on here that I'm not a fan of the metal springs but there are gobs of them out there flying that have no issues during "normal" ops. I pushed mine to the limit and found it. Lowell also makes a really nice removable aluminum fairing for his version.